Generally we install windows from CD/DVD Rom. It takes more time to install windows. 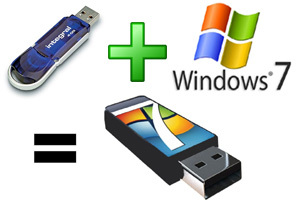 Have you ever tried to install windows from Pendrive/USB Stick? 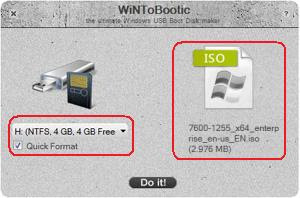 If you install windows from USB Stick/Pen-drive , it takes less time than DVD/CD Rom. 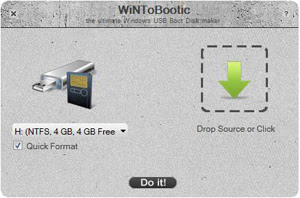 If your DVD or CD Rom is not working then it is the best way to install windows. In which computers (Netbooks) DVD Rom is not available, Boot-able pendrive is most important thing to install OS, Live DVD/CD and others. First of all format your Pendrive/USB stick in NTFS format. 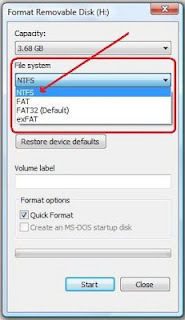 just in NTFS format not in FAT32. Now insert the CD/DVD into your DVD drive. This software size is only 700 KB. You are done, The software starts working .. 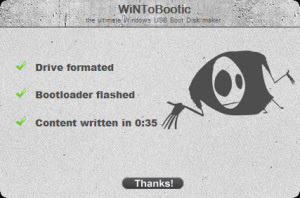 Your Bootable windows pendrive is ready.